There are just some people’s stories that need to be put into print . . . this is one of them. There are just some books that need to be read . . . this is one of them. 9/11 is a day that none of us will never forget. It impacted each of us in different ways, and it will always be an emotional topic that is hard to read and write about. 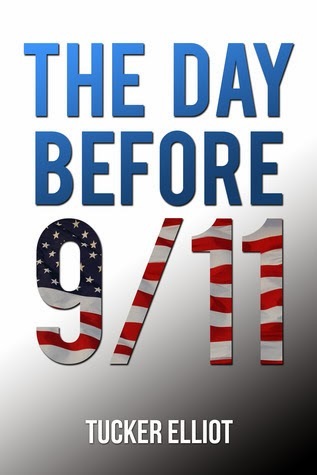 The Day Before 9/11 is a memoir about an American teacher overseas teaching military children. He documents his experience with 9/11 and stories of military families he came to spend a lot of time with. Tucker Elliot tells his own personal story as well as the story of two young girls Sami and Angel. They both come from military families who are stationed overseas. He first comes into contact with Sami while he is teaching in Korea. After he moves to Germany, he becomes Angel’s teacher and Sami’s family ends up getting stationed there as well. He expresses the pain that comes to families after tragedies occur. The same tragedy can affect different families in many different ways. War can affect different families in many different ways. It can bring pain and depression in ways that some individuals could never experience or even imagine. Tucker Elliot’s book is a beautiful documentation about how one tragedy affected three different families in completely different ways. It is emotional. It is thought provoking. I thought reading through the main portion of the book was rough and hard on the heart, but the epilogue is truly just heartbreaking. There are no other words. But, the end can really teach you that through heartbreak, you should always still have hope. The writing in this book is really great. It never gets boring. There are no unnecessary parts to it. It was well thought out and looked over before being published.